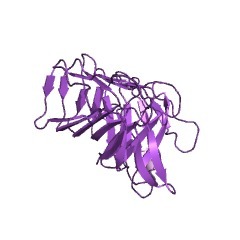 This domain is suggested to be a carbohydrate- dependent haemagglutination activity site (PUBMED:11703654). It is found in a range of haemagglutinins and haemolysins. 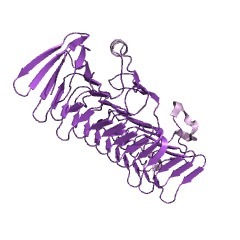 This entry represents a conserved domain found near the N terminus of a number of large, repetitive bacterial proteins, including many proteins of over 2500 amino acids. A number of the members of this family have been designated adhesins, filamentous haemagglutinins, haem/haemopexin-binding protein, etc. Members generally have a signal sequence, then an intervening region, then the region described in this entry. 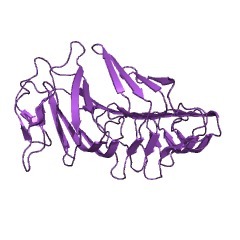 Following this region, proteins typically have regions rich in repeats but may show no homology between the repeats of one member and the repeats of another. 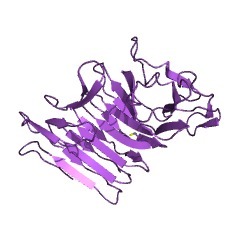 This domain is suggested to be a carbohydrate-dependent haemagglutination activity site [(PUBMED:11703654)]. 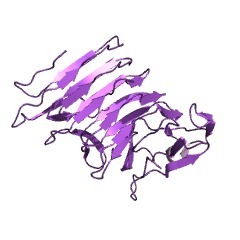 There are 13812 Haemagg_act domains in 13670 proteins in SMART's nrdb database. Taxonomic distribution of proteins containing Haemagg_act domain. This tree includes only several representative species. 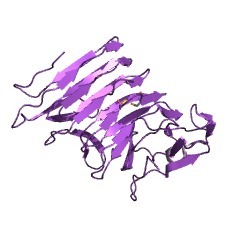 The complete taxonomic breakdown of all proteins with Haemagg_act domain is also avaliable. Click on the protein counts, or double click on taxonomic names to display all proteins containing Haemagg_act domain in the selected taxonomic class. 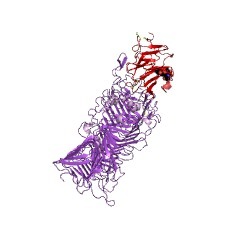 Beta-helix model for the filamentous haemagglutinin adhesin of Bordetellapertussis and related bacterial secretory proteins. Bordetella pertussis establishes infection by attaching to epithelialcells of the respiratory tract. 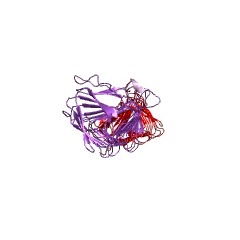 One of its adhesins is filamentoushaemagglutinin (FHA), a 500-A-long secreted protein that is rich inbeta-structure and contains two regions, R1 and R2, of tandem 19-residuerepeats. Two models have been proposed in which the central shaft is (i) ahairpin made up of a pairing of two long antiparallel beta-sheets; or (ii)a beta-helix in which the polypeptide chain is coiled to form three longparallel beta-sheets. We have analysed a truncated variant of FHA byelectron microscopy (negative staining, shadowing and scanningtransmission electron microscopy of unstained specimens): theseobservations support the latter model. Further support comes from detailedsequence analysis and molecular modelling studies. We applied a profilesearch method to the sequences adjacent to and between R1 and R2 and foundadditional "covert" copies of the same motifs that may be recognized inovert form in the R1 and R2 sequence repeats. Their total number issufficient to support the tenet of the beta-helix model that the shaftdomain--a 350 A rod--should consist of a continuous run of these motifs,apart from loop inserts. 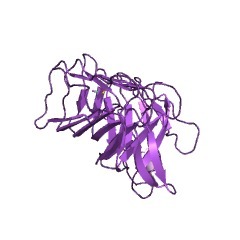 The N-terminus, which does not contain suchrepeats, was found to be weakly homologous to cyclodextrin transferase, aprotein of known immunoglobulin-like structure. 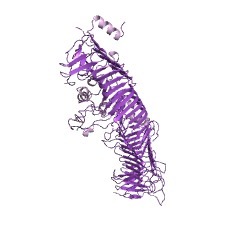 Drawing on crystalstructures of known beta-helical proteins, we developed structural modelsof the coil motifs putatively formed by the R1 and R2 repeats. Finally, weapplied the same profile search method to the sequence database and foundseveral other proteins--all large secreted proteins of bacterialprovenance--that have similar repeats and probably also similarstructures.